For some reason autumn makes me feel incredibly nostalgic. There's something really homely about the smells and colours of the season that makes me just want to snuggle up with a good movie. Whilst Halloween is just around the corner so obviously loads of horror movie marathons are on the cards, I thought I'd do a countdown of awesome autumnal animated movies to get those fall feels flowing! 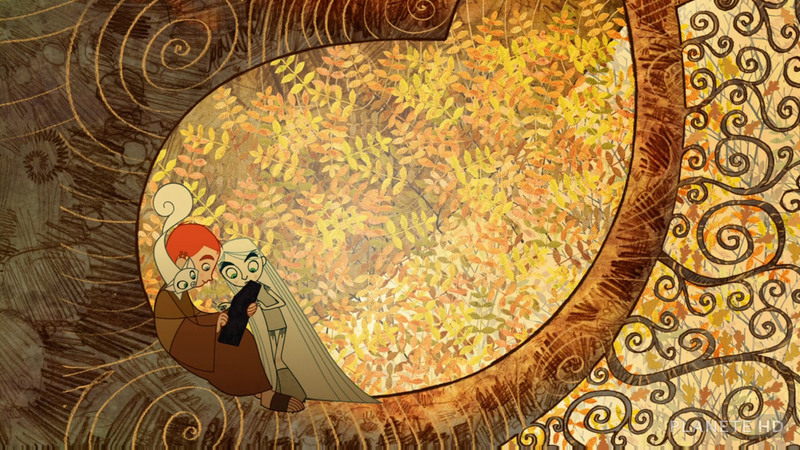 Set in the Medieval town of Kells in Ireland, The Secret of Kells follows the ancient myth of the ancient magic and wisdom of the Book of Kells and how it came into existence. The first feature length animated feature from Irish animation studio Cartoon Saloon, this award winning movie is memorable for its breathtakingly intricate and beautiful backgrounds. Taking influence from the celtic illustration style of the real Book of Kells, the films colour palette of greens, oranges, browns and golds has all the feeling of a woodland walk in October and the underlying theme of magic and whimsy in nature embodies the spirit of the season itself. Channelling the spirit of the Mexican holiday the Day of the Dead, The Book of Life is absolutely bursting with colour and breathtaking Mexican Sugar Skull themed imagery. The story follows the story of a wager between two gods causing two heroes to fight for the love of a girl. The characters are vibrant and incredibly imaginative, both extremely dark in design but goofy and enjoyable also. The themes of life, death and the afterlife are synonymous with the harvest season of autumn and the constant dark and skull filled imagery have the spooky vibes we often associate with Halloween and October, so it's definitely at home in an autumn movie line-up! Sixth-Sense lite meets Scooby Doo meets Tim Burton, ParaNorman is brimming with images of fall in suburbia and oozes autumnal ambience. 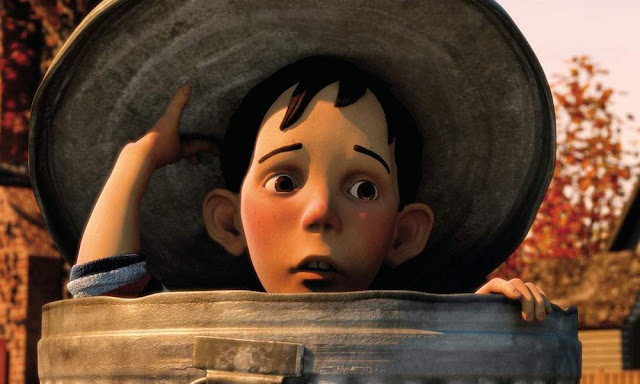 The story follows a young boy with misunderstood powers of communicating with the dead as he teams up with his friends and family to finally discover the secrets behind an infamous local legend and rid the town of the curse once and for all. 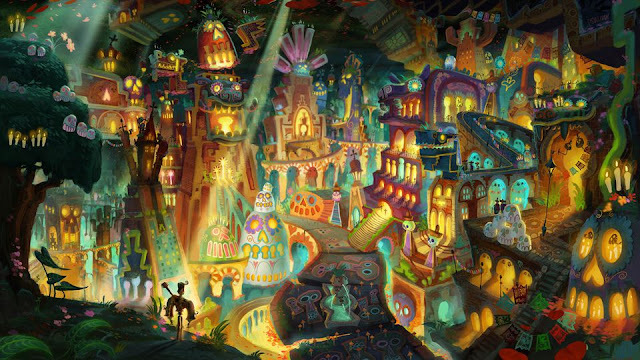 Due to its stop-motion animation from Laika Entertainment, ParaNorman has an instantly classic and homely nostalgic essence, however its modernness comes in the form and its sometimes darker-than-expected tone and imagery. Another set in American suburbia on October 31st, Monster House plays with classic genre tropes of children trying to solve a spooky mystery whilst throwing some gorgeous fall imagery at us in the meantime. 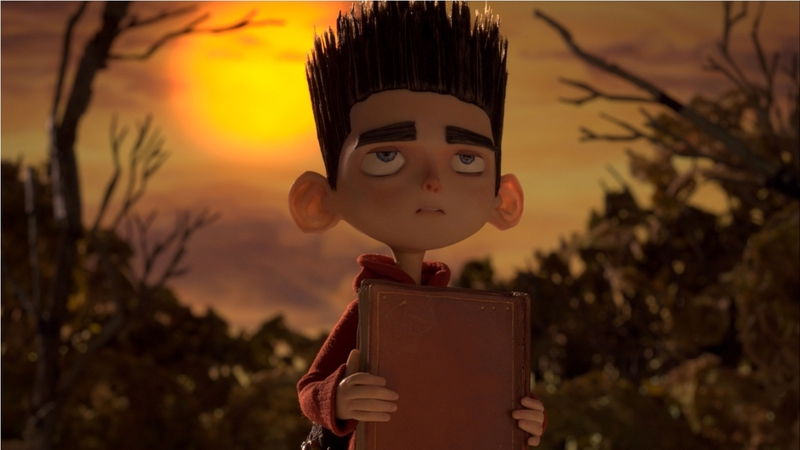 Whilst not as striking as ParaNorman in its animation style, the movie is packed with witty one-liners and an intelligent modern tone contradicted with its sometimes obscene and grotesque design. With nods to horror classics such as The Haunting and The Amityville Horror, this haunted house movie pretty much oozes pumpkin, cinnamon and spookiness. 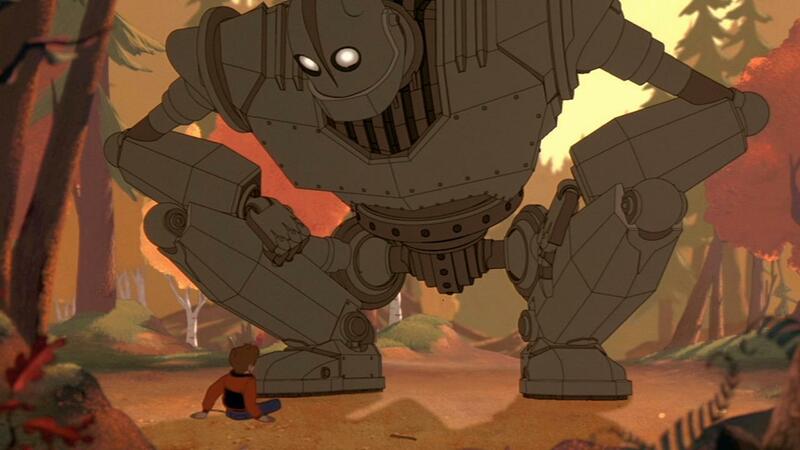 The Iron Giant follows the story of awkward Hogarth Hughes who befriends a giant robot in the woods and his struggle to keep his discovery and friendship a secret from a paranoid government agent. movie set in the American North-East gets instant autumn-points, but The Iron Giant's focus on movie monster tropes combined with that of the childhood adventure mechanic makes this one particularly fall-worthy. That and we're constantly served lush orange/brown/gold Maine landscapes that sizzle with autumnal goodness, it's hard to see this as anything but an autumn movie! The Illusionist (2010, Sylvain Chomet)Although not outwardly an autumnal movie, the characters wrapped up in coats and the subdued and subtle colour palette gives The Illusionist the feel out autumn without ever outwardly stating that it is. The movie is a tragic and heartwarming tale of a French illusionist in Scotland and his relationship with a young woman he meets there. It is tender and beautiful and the crisp animation of the Edinburgh skyline feels as though you can smell the bonfires on the air. Similar to the animation studio Les Armateur's previous feature The Triplets of Bellville, there's an almost sepia tone to the animation undeniably indicative of those early fall sunsets. 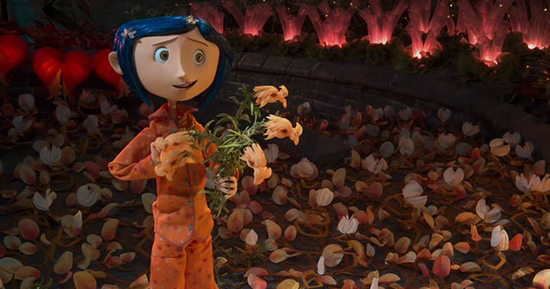 Undeniably the king of Halloween animation, Henry Selick's Coraline has the creep factor like no other movie on this list, a pure embodiment of the Halloween spirit. The use of fog and destitute surroundings in the 'real' world contrasted against the loud carnival style of the other world is so reminiscent of theme parks at this time of year, and considering I spend so much of my time over the Halloween season visiting them it seemed only fitting! That's me sorted for a few nights curled up in front of the TV with a delicious scented candle on the go!